Manuela Whitford is the CEO and founder of Friends With Dignity, a charity providing practical support for those displaced by domestic violence. She is this week’s Changemaker. Launching in 2015, Friends With Dignity have formed strong partnerships with a network of refuges and community services, to provide anonymous support to get all victims of domestic violence back on their feet. The volunteer-run organisation is expanding nationally and now has around 135 active volunteers, who carry out tasks from sewing curtains, to furnishing emergency homes, to providing emergency items such as a ball gown for a client’s school graduation. 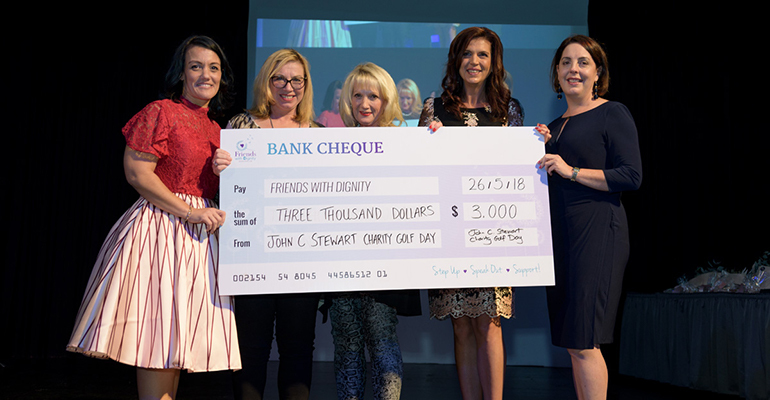 Friends With Dignity were recognised for their efforts recently, after they were announced as the 2018 Australian Charity of the Year at the Australian Charity Awards. In this weeks Changemaker, Whitford discusses the importance providing practical care, why violence and abuse is an issue everyone faces, and the importance of keeping the conversation around domestic violence in the spotlight. What made you want to get involved in the charity sector? 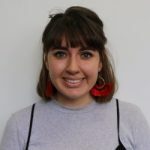 I’m from South Africa and had always been involved in charities there, but migrated to Australia after I was assaulted by a group of men in a public space. When I first started this charity, it was mainly to reach out to like-minded people, because I didn’t know too many people here, and now those people are some of my best friends. I also wanted to help people in my own capacity and provide really practical care. I focussed on domestic violence, because it was the gap that I identified at the time, but was not something I had experienced myself. I think I was just so shocked that so much violence could happen within the home, a place I consider to be a very safe space. How has your experience working in women’s prisons shaped your ideas about the issues you deal with within the charity? There was one particular case where this girl was discharged late at night, and I just wasn’t sure where she would go. It became apparent that she was just going to go back to what she was used to and what she had before, so I realised it was a question of how do we break that cycle, and showing them you don’t have to get involved in drugs and theft to escape family violence. There had to be a way to break this cycle. What sort of projects are you working on at the moment? We’ve got three programs that we focus on. A sanctuary program which is the setup of the homes once they leave refuge, and that takes about seven days to source everything to furnish the home. If we get an urgent request which could be something like getting new pyjamas… we try and see to it within 24 to 48 hours. We then have a Little Friends program which is specific to children in refuge. That addresses their back to school needs, extracurricular activities, and buying school uniforms. For instance, we had a child that we helped go to a graduation ball by buying their dress. That was really nice to see. You make a point of saying you don’t discriminate between genders, age and cultural backgrounds. Why is that? Statistics don’t lie, women are definitely the victims at large, but we need to be aware that domestic violence or family violence is a behaviour, and we shouldn’t be putting a gender to it. We cannot minimise or exclude men as victims of domestic violence because it can happen to anyone. We need to educate the public on looking beyond physical abuse and look at the people that are psychologically abused in the form of social isolation or financial restrictions. It’s just a source of power over another person and that can happen to anybody. Do you think enough is being done by governments to curb domestic violence? What needs to change? I think the government and other government organisations are trying to do their best. I think the fact domestic violence is spoken about, it’s in the media, and we aren’t keeping it behind closed doors anymore, is a huge shift already. I’m still surprised when I go to talks and tell people statistics and they are shocked. That worries me, but it’s all about creating awareness. There have been changes in the police and government, and we may not have seen them as quick as we want to, but this is changing someone’s behaviour, it’s habitual… it’s what they’ve been exposed to and it’s a learned behaviour. If we stop defining people by their behaviour and started addressing it, maybe that will help. But I think that’s something that’s going to take a while. You also work full-time as a nurse, how important is it to have a supportive team around you as CEO? I’m really blessed in having a great leadership team and a board that know the direction and my vision, so we work really closely. I can’t be there all the time and do everything. My role is to run the programs, and oversee them, but if I can’t, I’ve got my team backing me up. There will be times when I’m thinking something, and then my directors are already doing it, because we are on the same level. It’s a great gift to have in a team.